PRO COMMUNITY is an exhibition format developed and organized by Artkelch in Freiburg, Germany, that features excellent art from community based art centers in a touring exhibition in Germany. Artists from one art centre (or a small group of art centers) from one region per year are thus presented to audiences across Germany. It runs under the patronage of the Australian Embassy in Germany and is accompanied by a catalogue. 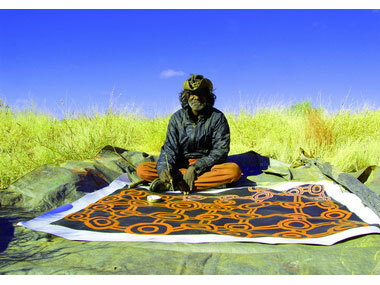 This year PRO COMMUNITY is presenting a handpicked selection of recent work of the Spinifex artists from the Great Victoria Desert. The exhibition will start in February at Artkelch in Freiburg and will then move on to Stuttgart, Munich, Hamburg and the beautiful Lake Constance area. In addition Spinifex Art will be featured by Artkelch at the art Karlsruhe 2013. With nearly 50,000 visitors the art Karlsruhe is the 3rd most important art fair in German speaking countries and one of the major ones in Europe. 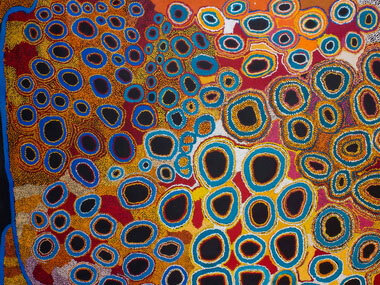 Artkelch is thrilled to show this vibrant "archetype" of Aboriginal Art that still bears witness to who created the land and the law and to who still owns it. 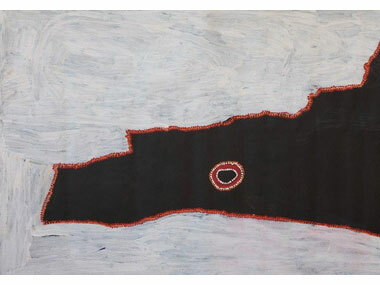 According to gallery owner Robyn Kelch the paintings do emanate so much power that even those who know nothing about the identity of the Spinifex People, their land and their story of creation can feel it. The exhibition centers around two major collaborative works – one by Spinifex men and one by Spinifex women – and consists of 55 major works in total. Artists presented include Simon Hogan, Roy Underwood, Tjaruwa Woods, Carlene West, Anne Hogan, Myrtle Pennington, Kathleen Donegan, Anmanari Brown, Yarangka Elaine Thomas, Nulbingka Simms, Ian Rictor, Lennard Walker, Byron Brooks as well as Fred and Ned Grant.